One our “Ideals of Independence” is that the Revolutionary War ended when Cornwallis surrendered to Washington at Yorktown. Right? Well, kind of, sort of. The French tried to start negotiations for peace, but after too much politicking and dithering, the American representatives decided to thank the French for their efforts and communicate directly with the British representatives. Meeting in Paris, the representatives of the countries discussed the terms to officially end the war. 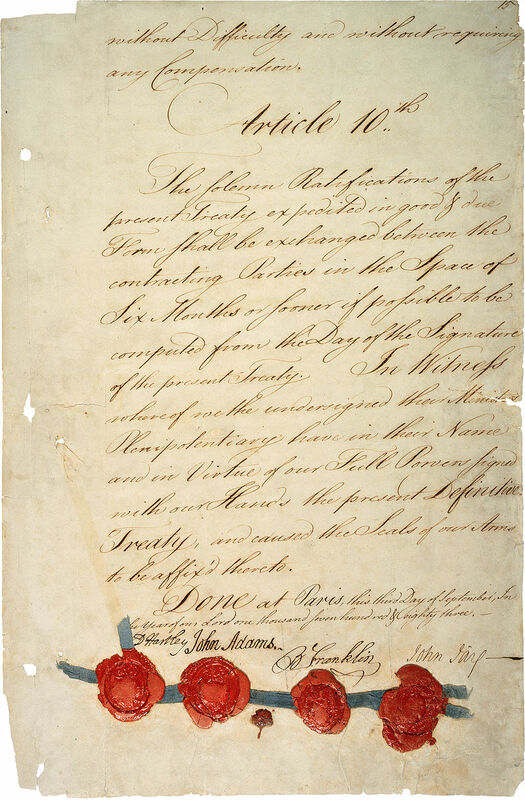 The Treaty of Paris was drafted on November 30, 1782, over a year after the surrender at Yorktown. The representatives signed it almost a year later on September 3, 1783, and sent it “home” for approval. Congress ratified the treaty on January 14, 1784, and both countries exchanged signed copies in Paris on May 12, 1784. Whew! It took a lot of time to communicate before telephones and email, huh? Some European nations had declared war on Britain and sided with the Americans. Britain negotiated separate peace treaties with France, Spain and the Dutch Republic. These treaties, combined with the American/British document are collectively known as the Peace of Paris. Britain recognized American as an independent and sovereign nation, and relinquished any claims to the former colonial property. Now you know what the Treaty of Paris is. Yes, Yorktown ended the land war in America and forced the British to seek terms of peace. 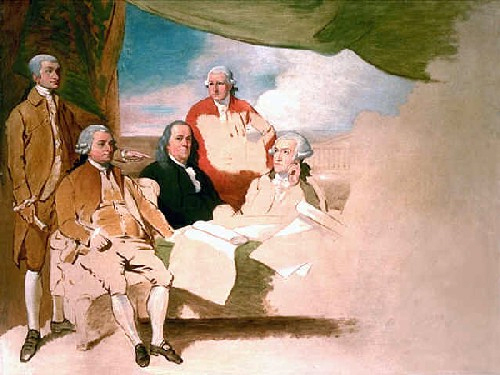 But it was really the Treaty of Paris, signed in 1783, that ended the conflict.